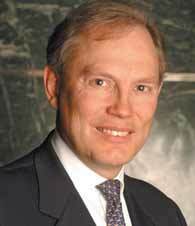 Richard Rawlinson is a Vice President of Booz & Company, the international general management consulting firm. Based in London, he has worked all round the world, including seven years in Asia. He consults throughout the leadership agenda for consumer intensive companies. He has extensive experience with large, international businesses in consumer, corporate and competitive strategy issues, and in competition regulation as a member of the UK's Competition Commission. He graduated from Oxford University and Harvard Business School, where he also served as a research fellow. How should companies communicate with their customers during downturn? How should small firms organize their marketing spends? Keywords Richard Rawlinson, Marketing should be seen as an investment not as a cost, What should be the priority of the companies? Maintaining market share or maintaining the margins, How should companies communicate with their customers during downturn?, How should small firms organize their marketing spends?